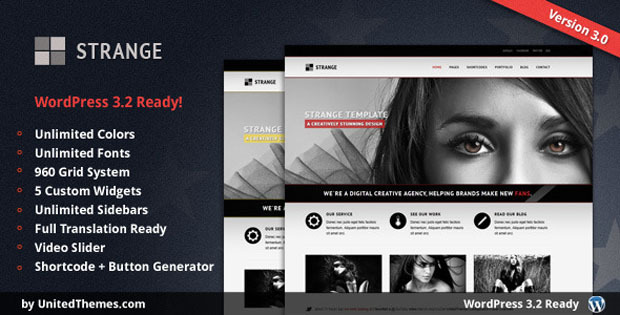 UnitedThemes presents Strange WordPress Theme. It has been created to be used as a creative/portfolio or corporate/business website. As you can see, the strength of this theme is its simple and clean design combined with modern JQuery Plugins & Functions. It’s easy to use, easy to customize and fully featured. To make it even easy for users with no programming background, we have added our brand new unbranded admin panel. You can easily modify layout, styling, colors, sidebars and fonts directly from the backend. For an easy start the panel loads preconfigured with activating the theme. So you start directly out of the box.